Slenderfruit-7 is the most advanced Garcinia based super fruit fat burner and diet pill available on the market. With a month’s supply of 7 different fruit based fat burners and anti-oxidants, it is the most powerful diet and weight loss product in the world! 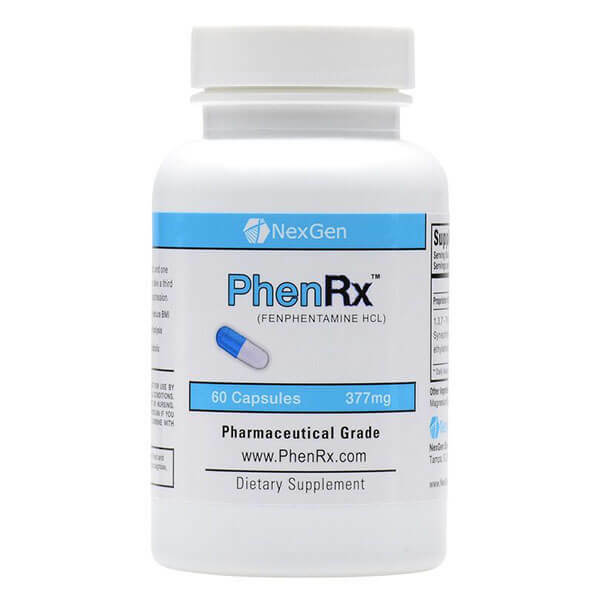 Nexgen has taken these 7 ingredients and taken advantage of the powerful synergy between them, using extremely high potency extracts of each ingredient for maximum effectiveness. Garcinia Cambogia – The primary active compound in Garcinia Cambogia is Hydroxycitric Acid (HCA), which is extracted from the rind of the fruit. Research has shown that this powerful chemical can inhibit the uptake of carbohydrates and disrupt the formation of fat, prevent weight gain and suppress the appetite. The fat that we store and gathers in unwanted places is actually the product of unused energy which is converted by enzymes into fatty deposits. The HCA in Garcinia Cambogia works by blocking these enzymes and preventing the formation of these fatty deposits. Consequently the body begins to burn stored fat cells by breaking down their protective proteins, known as perilipin. This process allows fatty deposits to be freed and burned up for energy rather than settling on our hips! By taking HCA, we are burning the fat we have stored as well as preventing more fat from forming. HCA gives your metabolism the boost it needs to break down more fat and blocks the enzymes that convert energy to fat. Green Coffee Extract – Regulating your blood sugar levels and glucose is the most effective way to maintain your fat-burning capacity. Green coffee extract is a natural compound that contains chlorogenic acid, a polyphenol found in the green coffee bean. Chlorogenic acid has been shown to inhibit excess activity of glucose-6-phosphatase. The glucose-6-phosphatase enzyme triggers glucose formation from non-carbohydrate substrates and glycogen release from the liver, both of which can create excess glucose in the blood. Neutralizing excess glucose-6-phosphatase is essential to achieve optimal glucose control. Another means by which chlorogenic acid supports healthy after-meal glucose levels is by targeting the alpha-glucosidase enzyme. This intestinal enzyme breaks apart complex sugars and enhances their absorption into the bloodstream. Chlorogenic acid also increases the signal protein for insulin receptors in liver cells. Because this extract also helps inhibit the absorption of calories from starches and sugars, it induces extreme weight loss. 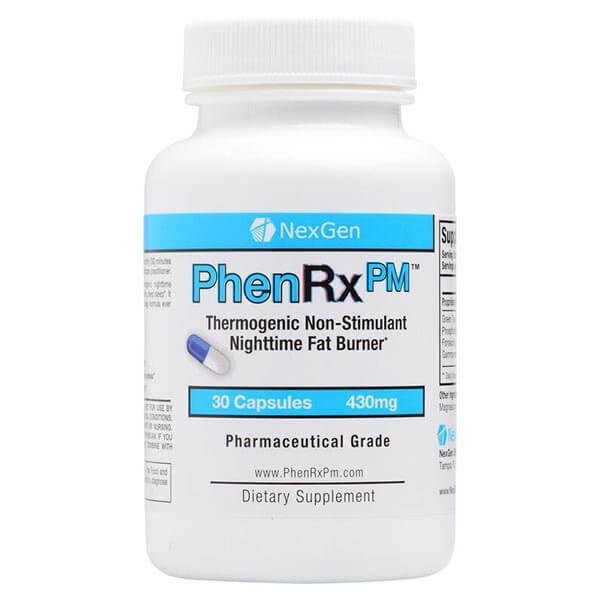 NO HIDDEN OR RECURRING CHARGES[/caption]Turn your body into a 24 hour-a-day fat-burning furnace with PhenRx PM!You already know that you have to use the right supplements, exercise and cut calories to burn fat and lose weight. But, do you often feel that after waking up from a long night’s sleep that the scale and mirror show that you are back to square one with your weight loss efforts? You probably been have looking for a top night-time friendly and stimulant free diet pill to compliment the standard themorgenic and metabolism stimulating supplements out there... and now you have found it with our special night-time formulation of our best selling night time friend diet supplement brands! Raspberry Ketone – Raspberry Ketone is a natural compound found in red raspberries, which is responsible for the fruity odor and taste of the fruit. Raspberry Ketone works by regulating adinopectin – a metabolism regulating protein in the body. Its regulatory mechanism helps burn off your bodily fat in a more efficient and healthy way, causing you to lose weight faster, as well as discourage deposition of more fats, especially in the abdomen and hips. Raspberry Ketones cause weight loss by increasing secretion of adinopectin. Adinopectin is a protein that stimulates rapid breakdown and prevents the deposition of more fat in the body. Higher levels of adinopectin are associated with less fat storage in the body. The result – extreme weight loss. Green Tea – The polyphenols found in green tea are the key to this ingredient’s miraculous weight loss properties. These incredible polyphenols are more commonly known in the scientific community as flavanols or catechins. The main catechins in green tea are epicatechin, epicatechin-3-gallate, epigallocatechin and, the one with the highest concentration, epigallocatechin-3-gallate or EGCG. Green tea has been shown to activate the body’s thermogenic fat-burning activity, significantly reducing the total fat and subcutaneous fat. Green tea contains high levels of catechins that inhibit an enzyme called catechol-O-methyltranferase, which actually degrades the body’s primary fat-burning hormone, norepinephrine. The high levels of catechins in green tea elevate norepinephrine levels and prolong fat burning and thermogenesis. Translation – the catechins in green tea help turn your body into a fat-burning machine! 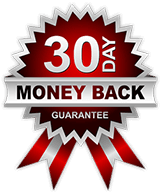 African Mango – African Mango extract can be a very effective weight loss supplement that can improve your body’s metabolic and fat burning rate. The African Mango extract promotes weight loss by increasing fat metabolism and inhibiting fat storage, or adipogenesis, by affecting the levels of two hormones called leptin and adiponectin. African Mango extract drastically increases the levels of the adiponectin which boosts your fat burning rate without affecting your appetite, resulting in improved metabolic rate and weight loss. In other words – your body begins to burn more fat and calories when you take African Mango, without the need to change your diet or exercise routine. Acai – One of Acai’s keys to weight loss is that it contains fiber and essential fatty acid that help the body burn fat more efficiently, process food more quickly, cut down on cravings, and boost metabolism. Acai also helps your body to detox or cleanse itself ridding your body of fats and toxic buildup that weigh you down. Acai contains monounsaturated fats that help keep you feeling satisfied and reduce cravings for food, helping you to eat less and lose weight. Acai is a powerful antioxidant that helps prevent free radical damage in the body. Lychee – Lychee fruit extract helps to maintain digestive health as it contains high quantities of dietary fibers. This richness in fibers which works well to prevent the problems of constipation and also keeps the stomach clear of harmful toxins and cleanses the colon. The Lychee fruit also acts a natural diuretic, helping to rid your body of excess water and bloating, leading to extreme weight loss. Lychee also contains fatty acids which are necessary in order to absorb fat-soluble vitamins like beta carotene thereby helping your body digest food more efficiently and leading to weight loss. With SlenderFruit-7, you get the synergistic effect and fat burning properties of all 7 of these Super Fruits!